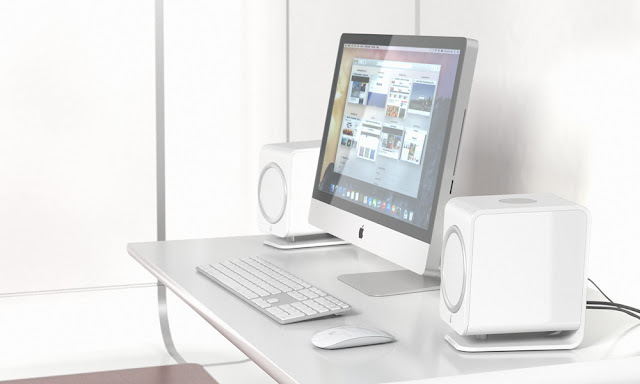 So how do you mate compact lifestyle product with sparkling aesthetic and potent sound performance into the product, that would make into ones permeant desktop setup? Now that we have a multitude active - powered speaker solutions including high ranking Devialet Phantoms its getting quite crowded in this not so niche market. 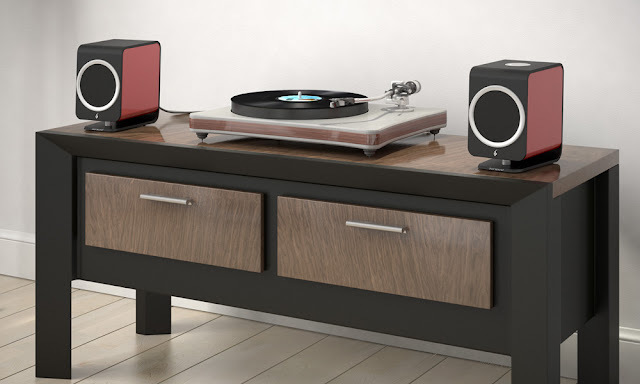 Blend between audiophiles, music lovers, high-enders, desktop musicians etc. seems to be getting narrower by each year turn. 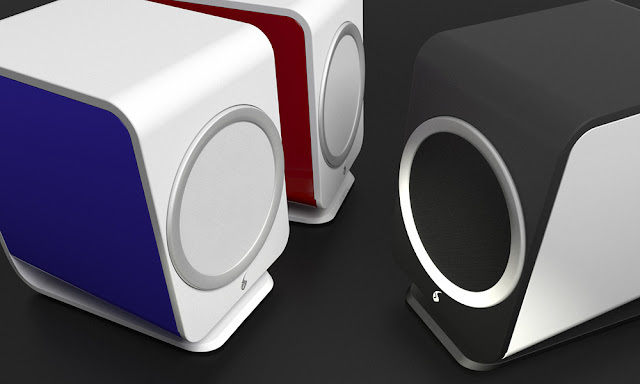 Feniks Audio is a collaborative venture of father and son. They both joined their passion, commitment and intuitiveness with a clear goal of envision something of real value and stand out. “We think everyone should experience their music and films in the best possible quality. That's why we make products which are the best in their class, with a particular focus on design, sound, and build quality. In the years to come, Feniks will offer a full product range of exceptional loudspeakers. A lifelong audiophile, Ted has over 30 years experience as an engineer in the United States, Germany, France, Japan, and elsewhere. 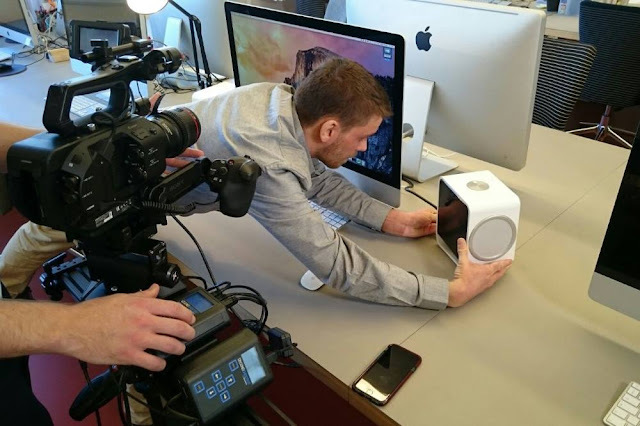 Holding a master's degree in Mechanical Engineering, Ted first and foremost hopes our products will allow our customers to enjoy their music more than ever before. Robert is a firm believer in the power of design to enrich life. 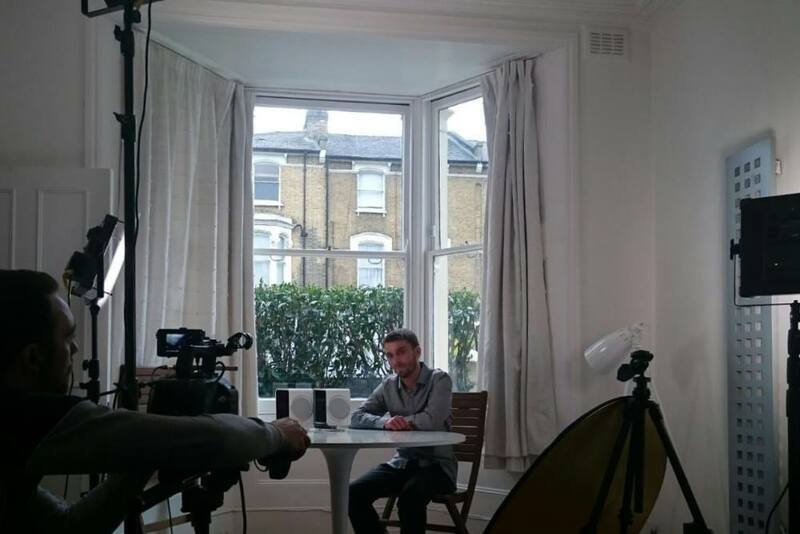 A BA (Hons) Architecture graduate from London Metropolitan University, Robert has worked for 2009 Young Architect of the Year David Kohn and is a recipient of the A' Design Award for the ES-2. Together this father/son engineer/designer team collaborates closer than any corporate team could, and covers a diverse range of skills which makes Feniks' unique products possible. Having lived for nearly 20 years in North America, they are global citizens who feel equally comfortable working in the Midwest as they do the Far East. That's why Feniks was an international company with global ambitions before our products even left Switzerland. 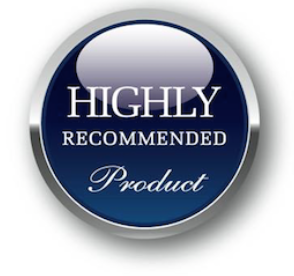 This outsized ambition is seen and felt with every experience of our products. The journey of developing this company has been full of ups and downs, but somehow their always seem to pull through. Like a phoenix rising from the ashes, we live to see another day and keep building our beautiful products. Feniks, an alternative spelling, is testament to this journey. Feniks Audio uses internal 24-bit/96kHz asynchronous USB DAC designed in partnership with world-renowned electronics specialist Gordon Rankin. 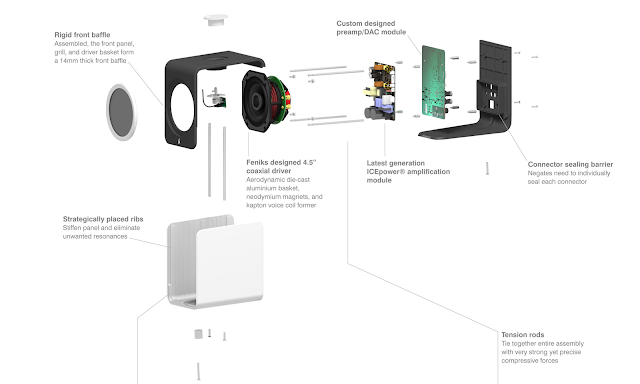 In making it universal device, optical Toslink input will serves the Apple TV or general while Bluetooth helps delivering the wireless audio streaming from mobile devices. 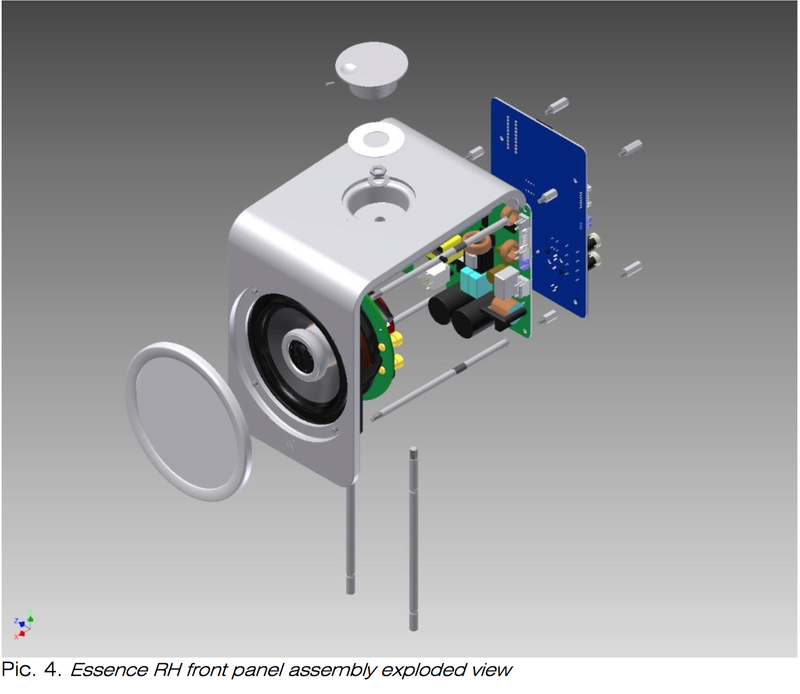 For all other analog front end there are dedicated 3.5mm and RCA analog inputs. So you can hook up even your phono stage. 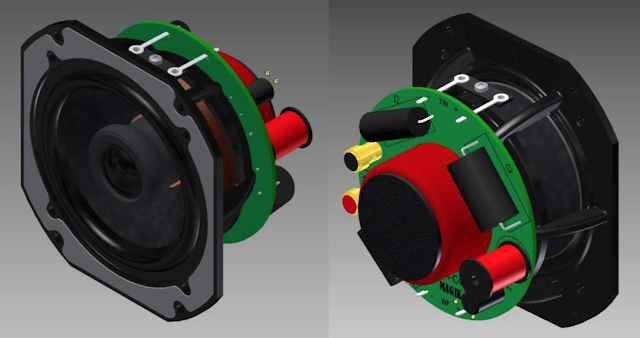 Feniks Audio Magik (EA-C4) driver is not a modified TB driver, but rather a completely new construction, based on the TB W4-937 concept - common geometry of the mid-woofer and the tweeter assembly. 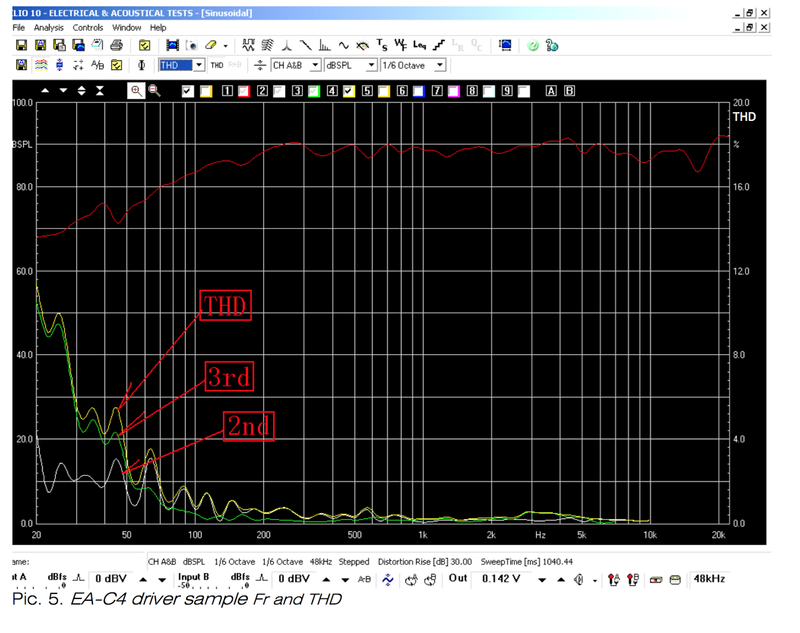 “If we say that it’s a modified driver, I guarantee that almost every other driver in the industry is a modification of some previously designed driver.” So no, it’s a completely new driver, based on the TB W4-937 concept. The TB engineering team helped Feniks to implement the new design and they are very happy with our partnership. 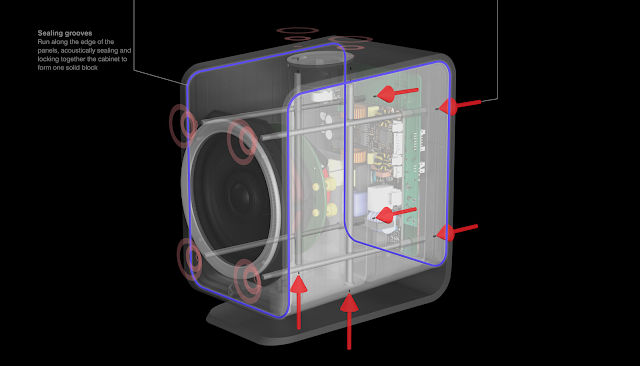 The only common (with the W4) parts are the mid-woofer magnet and tweeter insert assembly. The new basket is very unique, having 8-bolt rear mounting with integrated gasket. Nobody is using this kind of construction today. The TB W4-937 used cheap steel stamping, whereas Feniks use very rigid and advanced aerodynamic and aluminum die casting. The crossover is integrated as on W4, which is a very good idea, consequently also utilized. It saves space, wiring and foremost, reduces vibrating of the crossover. Feniks Audio implements audiophile grade components like PP caps and air core inductors. The mid-woofer membrane assembly is completely new, with Kapton™ VC former and ultra-compliant suspension. 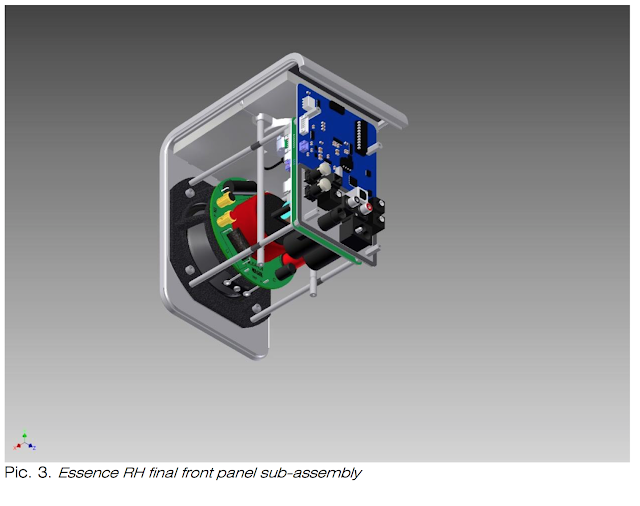 Essence envisioned a leading frequency, THD and impulse responses. 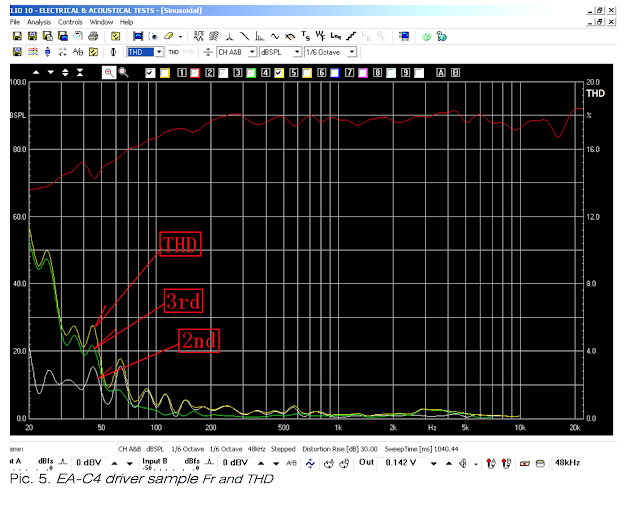 The THD especially is below 0.35% above 150Hz@90dBA and below 3% from 50Hz@90dBA, which seems like anew record for a 4.5” driver. caps. Pro-grade, gold plated driver terminals. • Cabinet construction is very unique. Each cabinet, as shown on the photos, consists of only 3 thick aluminum precision die cast panels made of special low resonance alloy. However, in contrast to most alu cabinet makers (who machine flat alu plates to match surfaces), Essence panels are interlocked with each other, forming one solid shell. • Thick aluminum panels work as a perfect heat radiator for the Electronics. • Precision die casting process, that created a real challenge to Feniks allowed them to utilize all details (even the logos and letters) into the panels without extensive machining and post processing. Interlocking grooves and wedges require very high casting tolerances. Integral ribs reinforce the panels and break resonances. 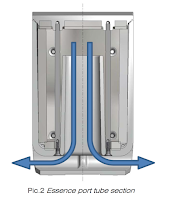 • Solid side panels are clamped between the front and rear/feet panels using threaded stainless steel tension rods. Interlock is created between the wedge around side panel’s perimeter and V-grove in front and rear/ feet panels. It’s like continuous labyrinth. This interlock acts like an air seal and solid bond locks the free resonance modes at the edges of the panels. The cabinet panel’s resonance modes are controlled by the tension rod’s forces and calibrated torque drivers are being used. Special assembly fixtures and a mechanical press helped Feniks team to pre-tight the panels before tightening the screws and they call it a Feniks Compressed Cabinet Concept, because the cabinet panels stay under continuous compression. 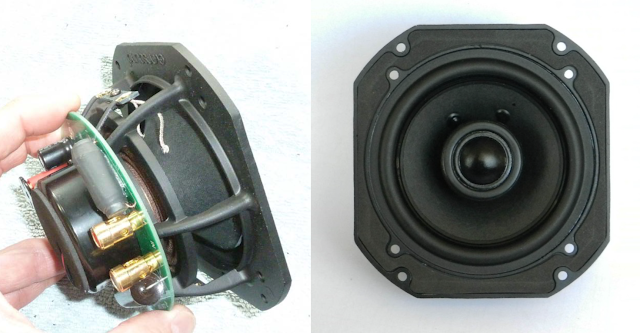 • Internal loudspeaker construction is a non-compromise approach. Every component is serving as a part of the whole. 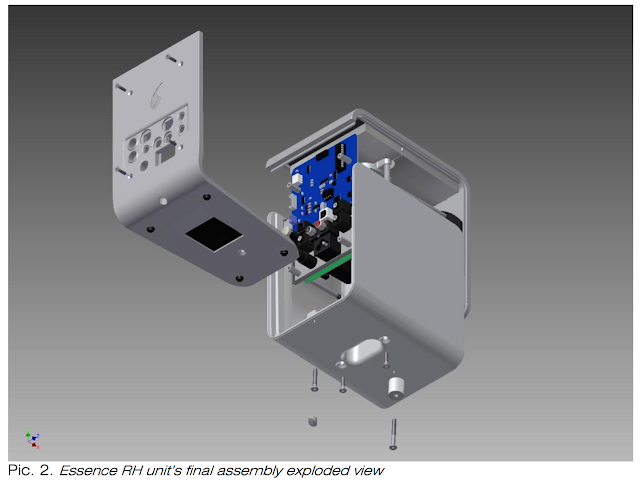 All components are bolted to the front panel’s assembly. Front panel is sandwiched between the driver and front solid aluminum grill ring, forming an extended driver’s basket. 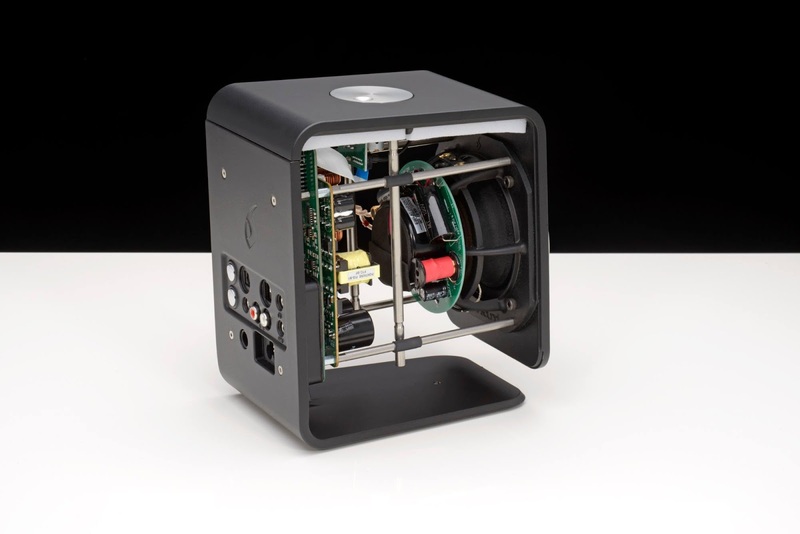 Driver has been designed by Feniks Audio to be an integral part of the Essence cabinet and it is bolted from the rear of the front panel by 8 bolts, instead of typical 4 for this basket size. Electronics is also serving as a mechanical part of the unit thus reducing the unwanted vibration, caused by the driver’s membrane back pressure. • Bass tuning: is achieved by controlled port tubes. 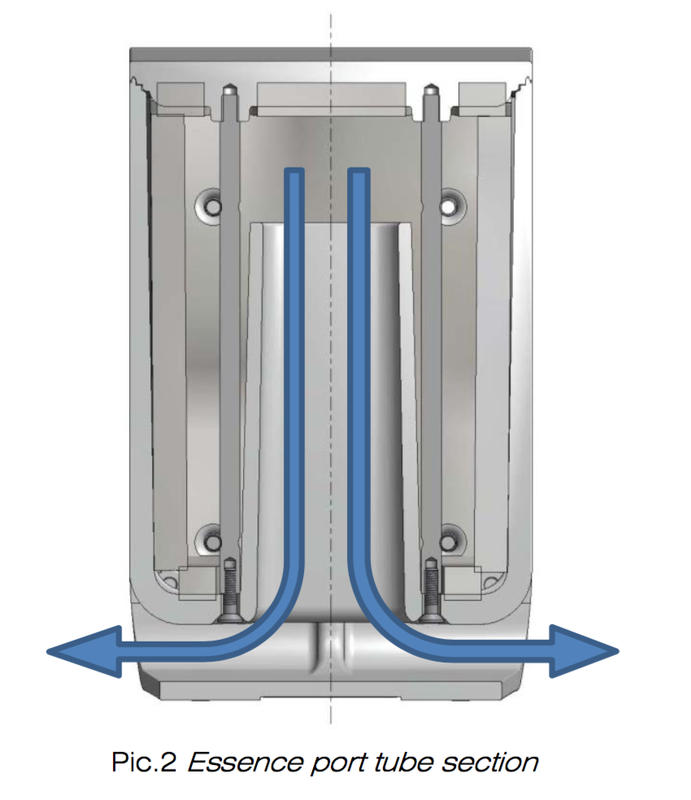 The tubes, a part of the side panel castings, extend to the bottom of the cabinet forming horn-like extensions, shown on attached picture. The Essences port’s purpose is not a boost of the bass, by adding a resonant bump, but to extend the low frequencies below the driver resonance. The result is a solid, smooth and clean bass reproduction down to 40Hz. • Cabinet’s damping: It has been achieved by two layers of the latest elastomer compound for damping and open cell absorbing foams, precisely cut to shape by our supplier. Usually not the biggest fan of Class D amplifiers this speakers got me by surprise. As proven few times in my listening perhaps the best application for the Ice Power, Ncore and other “digital” amplifier modules is indeed meant for the power speaker solutions where everything can be tightly connected and optimized for the performance. Essence’s 50W per channel ICEpower® amplification module serves its role more then well in driving the propriety drivers. Jointed with Gordon Rankin’s - Wavelength Audio digital hearth regime calls for interesting introspection. In product like Essence all in box its concept demands to perfect every little detail. By pushing things to the labeling of the lifestyle 21st century product, adding a real impact, solid performance and realistic contour is not an easy task and Feniks Audio team didn’t take it lightly from the scratch. 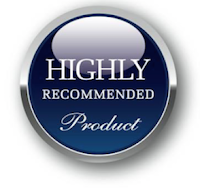 Heavily modified Tangbang driver and optimized ICEpower® implementations speaks out in this mighty pack. Something that high-end audio crowd might to easily missed from the likes of pro-audio industry is the integration. We can literary spent tons of hours and comparing efforts to ensure the perfect blend, still nothing ensures the potent end result. Pro Audio guys figured that out long time ago with their active monitoring systems. Just take for example latest Genelec monitors. 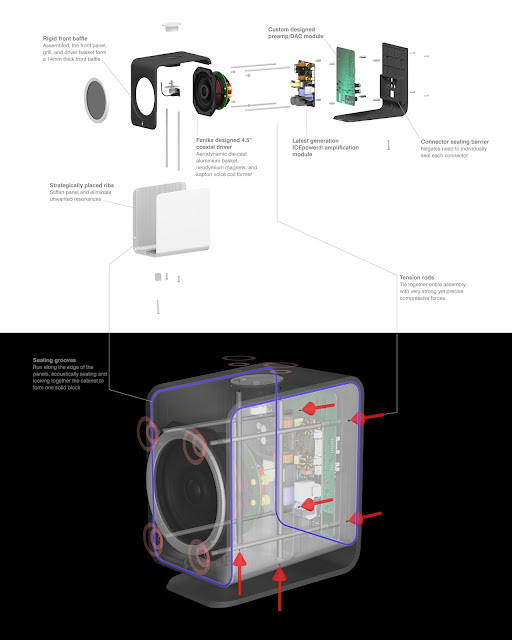 Paired with their sub and custom software/hardware integrated solution sound outcome beats the hell out of many uber priced system. High-End Audio industry slept on their so called self proclaimed glory for too long. In the era, where mobile phones and computers are developing at the frantic pace, our niche industry moves to often to slow. I do respect some of the companies taking the time and efforts in ensuring the goal of realism with their gear, yet more then often high-end audio brands are taking for granted their mostly self proclaimed high-end labeling. It have gone too far with the instantaneous designations and more and more people are being objectively critical. To embark on the throne of high-end audio one needs a certain prosperous sonic materialization. While pro audio segment might strive for hands on viable technical solution with a bit of a different set of norms, high-end audio industry should encompass only one route, and that is pure realism embossed with emotions. 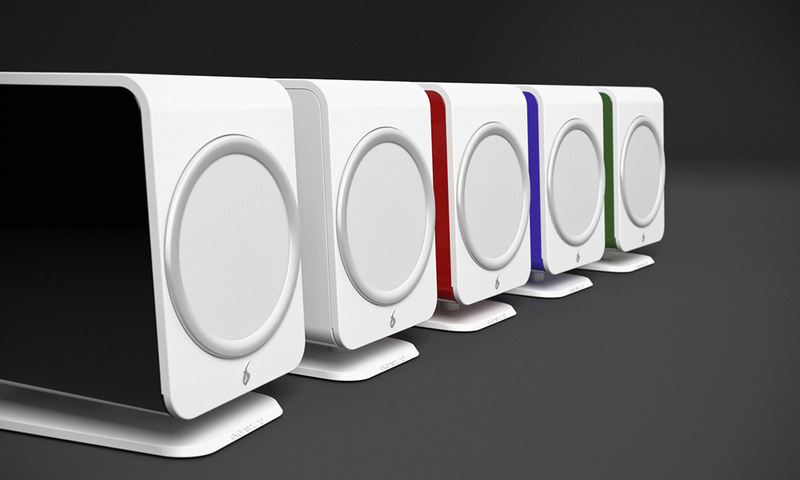 Feniks Audio Essence active speaker system packs heck a lot of guts punch and believability for such a compact design. With the clever industrial design, lifestyle DNA and practical sizing Essence opens up the door to affordability and offers a performance shift not exactly expected from the ground up with such product, pricing and sizing. When listening part takes place without using some viable references and known material there will be always a lot to hanker for with any summing and write up. By digging out through listening notes and sonic point references the red line points at believability, potent sonic impact and a lot of realism. Many might step back at the entrance of such concept as it is Essence, yet there is more in the box then silver lining. There is no probability factor viable in sonic conclusions. Its always coming down to the bare naked facts. There is a needed cruel rawness in order to project and sound wise conclusions especially when trying to convert the realistic energy flow. Here Feniks Audio Essence speakers projected music radically well with refreshed capability of impressive aural recreational points. Point taken and understood. Essence is lively, direct and way more life-like then most of the similar products I’ve listen to. Essence speakers strives for a landmark music reproduction on the level unheard so far with such a compact active speaker system. 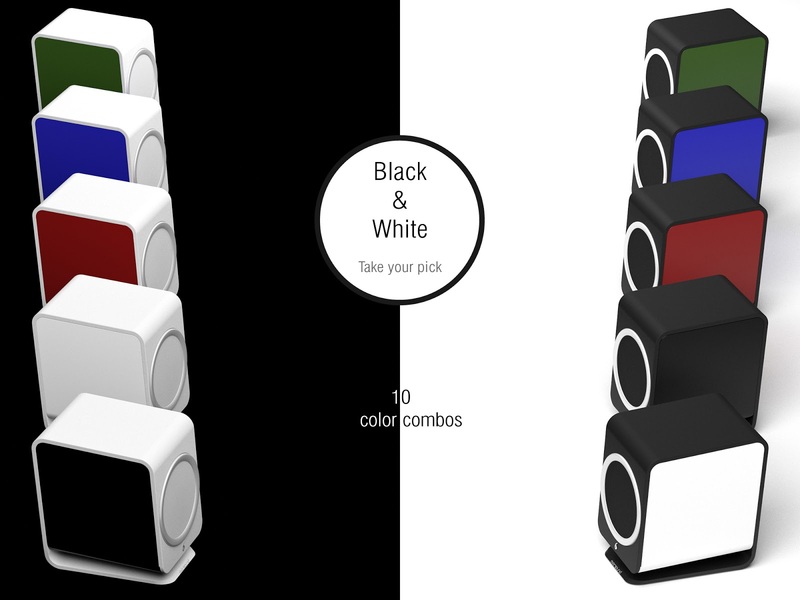 Feniks Audio Essence active speakers system is a great, stand out, 21st century envisioned active speakers system pointing towards the future of audio industry. Its clear that people in general are searching for high performance, easy to operate and great sounding lifestyle audio systems. Big question is where to look at? In the era where time is getting more and more precious the instant lock in to the musical repertoire comes as a mandatory functionality of all one box audio concepts. 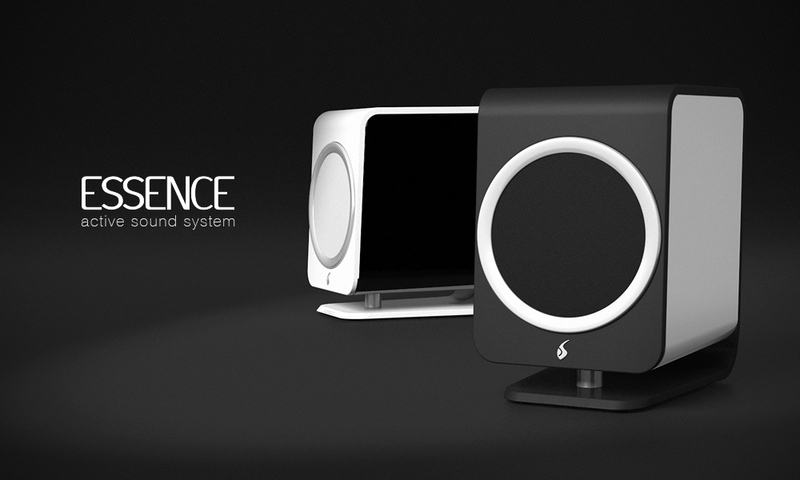 Essence packs a mighty sound, that goes beyond its size. Its surprisingly involving and opens up quite some questions of where digital audio or audio in general is or should be heading. With the looks, that even B & O would embrace, Feniks Audio stepped on a daring path. Proudly Made in Swiss certainly adds on the brand pedigree and pushes its a notch further and ahead of competition, that outsource or manufacture their products completely in Asia. Essence was designated to differ and it does so by great margin. 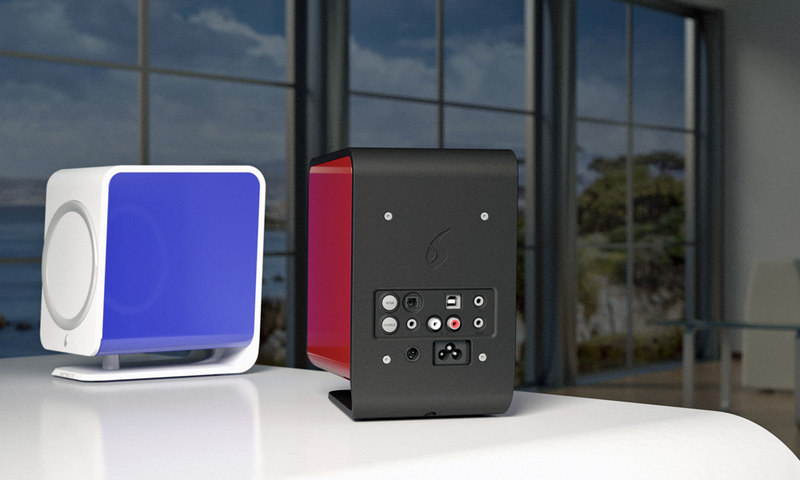 Feniks Audio Essence mini monitors radiate with push forward sound and explode in the depths way over the desktop appliance. Feniks team managed to encapsulate mighty power and performance in the slick enclosure packed with multitude of audio inputs serving the needs of a contemporary demanding listener. In the era our listening time calls for the nearest presence of our computers, Essence strikes as a clear winner. 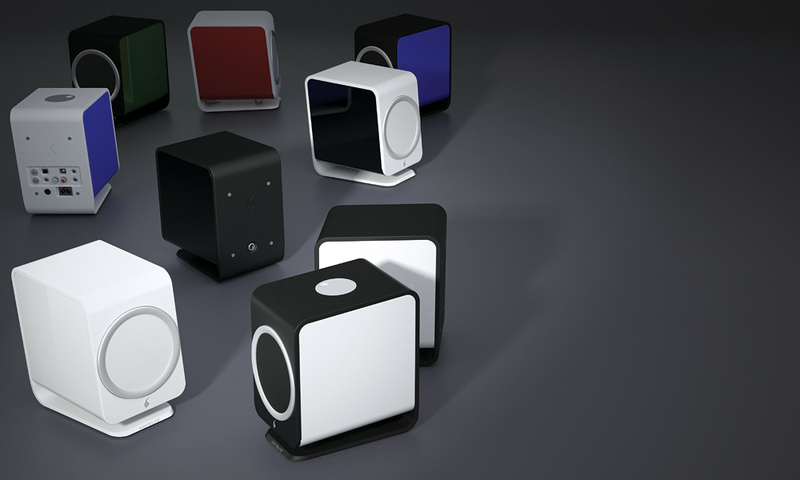 Swiss made, of subtle industrial elegance and mostly importantly musically packed, this small monitors deserves a heck a lot of attention. Not only from audiophiles, music lovers, but also music producers and audio professional. To often we’re ensured about wunderkinds, instantly workable hands on - up to date digital audio solutions, yet there is usually lot to hanker about. 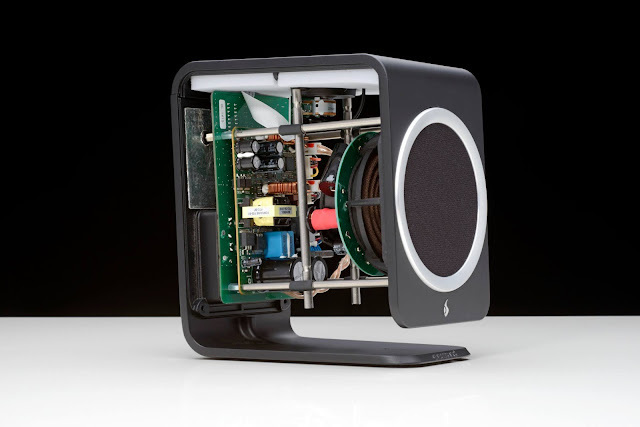 Feniks Audio Essence active speaker systems is a real gem and clear representative of painstaking efforts, funds and time being invested in such groundbreaking small musical box. Currently Feniks Audio is aiming for the Kickstarter campaign to launch by the end of March, where they will be offered for SFr 1299 (~1190 EUR at today's exchange rates).